You are here: Home / Money Saving / Are You Ready to Make a Move? If moving is on your itinerary in the near future, getting all your ducks lined up in a row can prove quite daunting. From lining up the movers to making sure all your utilities etc. are in order for the new home, you may feel a little bit overwhelmed when all is said and done. Despite all that you have to do, it is important to keep a cool and calm perspective on everything. Remember, this is a move, you are not planning a funeral. 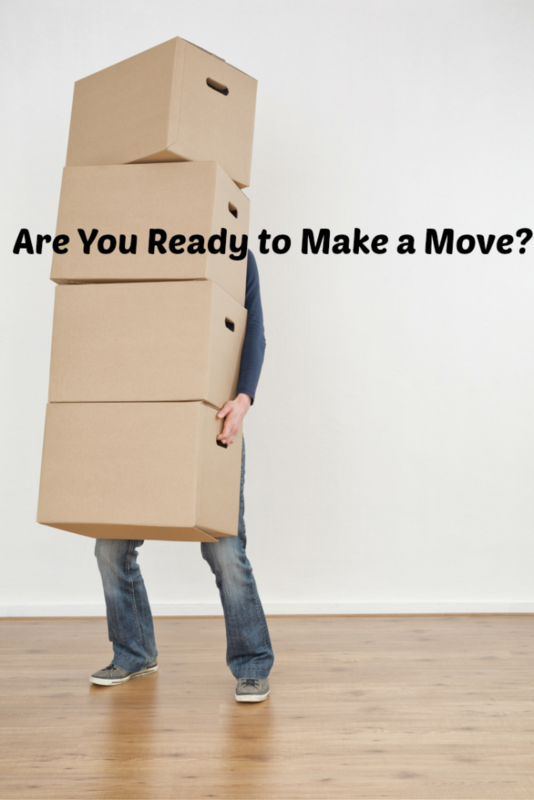 Although the move very well may prove stressful at times, you’re also embarking on a new era in your life. In doing so, embrace the new opportunities that await you. So, are you ready to make a move and start a new chapter in life? So that your move can come off as stress-free as possible, keep in mind that proper planning is essential. In some cases, your move may be rather unexpected due to relocation for work, death in the family, divorce etc. In situations where you are able to plan the move well in advance, doing so will save you hassles on numerous fronts, notably your emotions. For starters, buy a day-planner (if you do not already have one). Doing so will allow you to make sure all essential moving notes are in there. Among the most important ones would be when the movers are coming (if you’re not moving with the help of family and friends) and setting up basic services (see more below) in your new home (cable, Internet, phone, electric etc.). Failure to do the latter can definitely throw a monkey-wrench in your plans. It is also important that you have simple things such as your mail, newspaper delivery etc. updated for the new home. The former is especially critical if you want to stay on top of your bills and such. So, does it sound like this move will be any easy one? In order to make your move as smooth as possible, don’t try to do too much at once. Set aside a day each week (weeks before the actual move) to get everything lined up accordingly. Doing so will lessen the stress, something that is all but sure to come on the moving day itself. Internet – Unless you are living in the past, Internet is a daily part of your life. When looking into finding the best high-speed Internet, check to see which providers service your new neighborhood. You very well could end up saving money by bundling your Internet/TV/phone all into one package. If you choose this option, you can cut out having three separate companies to deal with. Lastly, a move is a great opportunity to clean out what you do not need. As you sit there and look at all those boxes of stuff in your new home, determine if you really need all those items. In reality, you would be even better off cleaning out such items before the move. Unfortunately, too many individuals (and families for that matter) end up carting junk from one residence to another. Before you know it, they are candidates to join the millions of hoarders across America. If the time is approaching for you to make a move, plan accordingly so you can enjoy the first night in your new home free of stress.